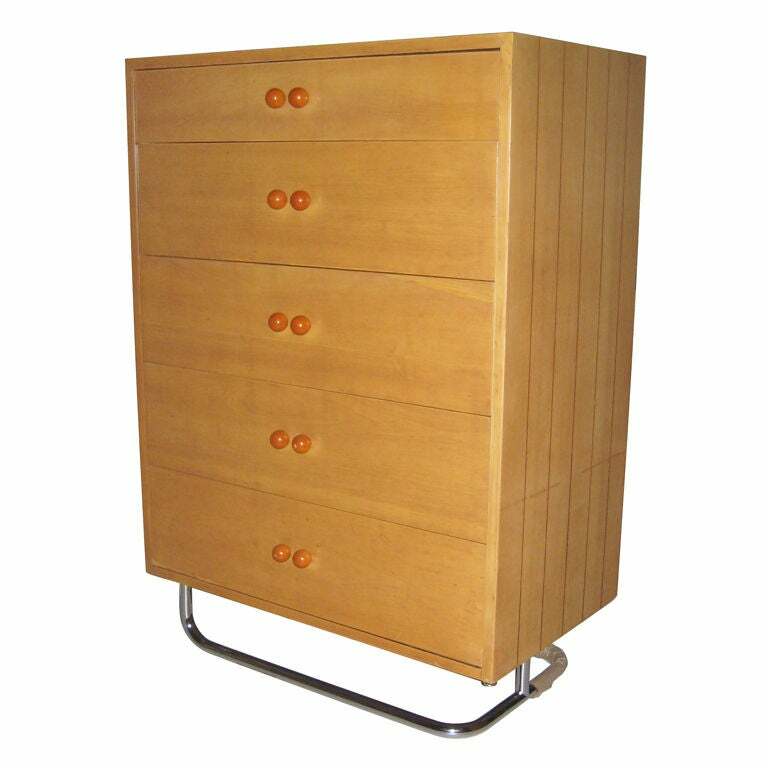 Very early Gilbert Rohde tall chest showcases the streamlined glamour of American Art Deco. 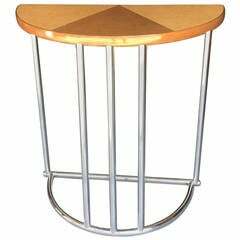 White Holly cabinet inlaid with black walnut, bakelite handles and chromed tube metal base are an expressive mix meant to announce the rise of American design. Fully labeled. Very good. 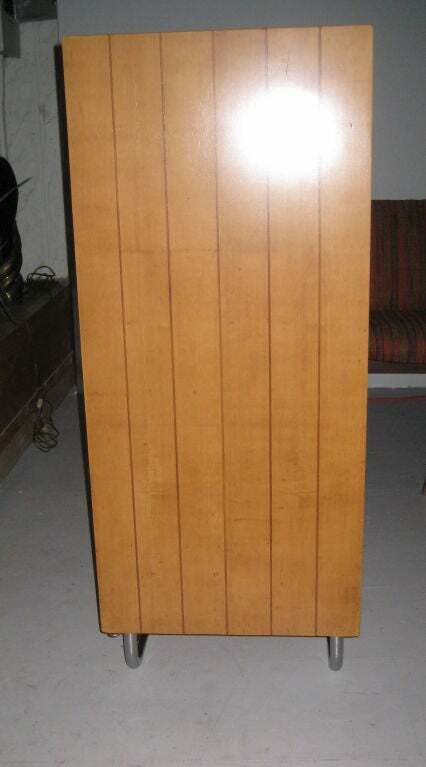 Some discoloration on the top, a couple of old veneer repairs, but looks great with warm color. 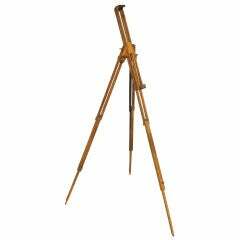 Beautiful collapsible walnut easel with brass hardware. Sweet three-drawer Swedish Art Deco chest with intarsia mixed wood inlay on patchwork oak and birch veneer, brass fittings. A matching pair of Dresser's by Gilbert Rohde, using book matched brazilian rosewood veneer, model # 3770 Three huge drawers in each cabinet make this a very useful design. 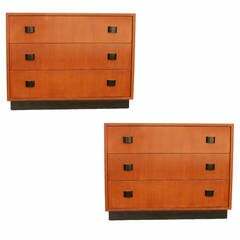 Art moderne dresser set of two by Gilbert Rohde. 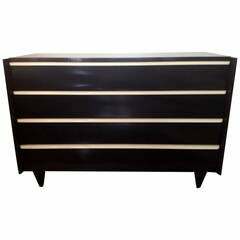 This low boy dresser features a walnut finish with a black lacquer floating base completed with decorative streamline black lacquer. 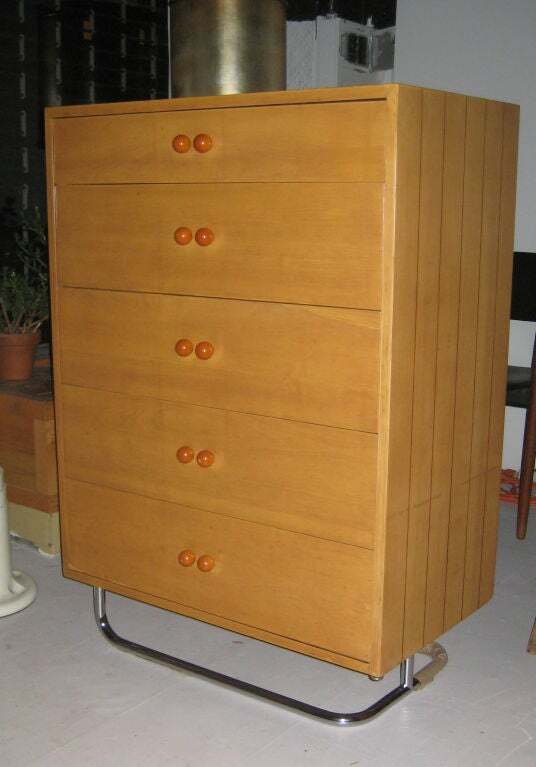 Gilbert Rohde bureau, dark mahogany and cream lacquer front long pulls. 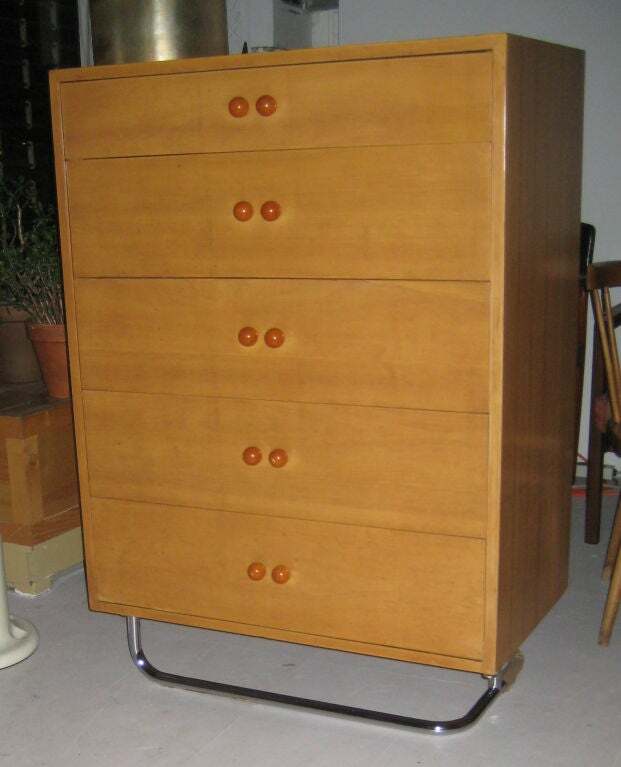 Midcentury chest with folding front by American designer Gilbert Rohde. 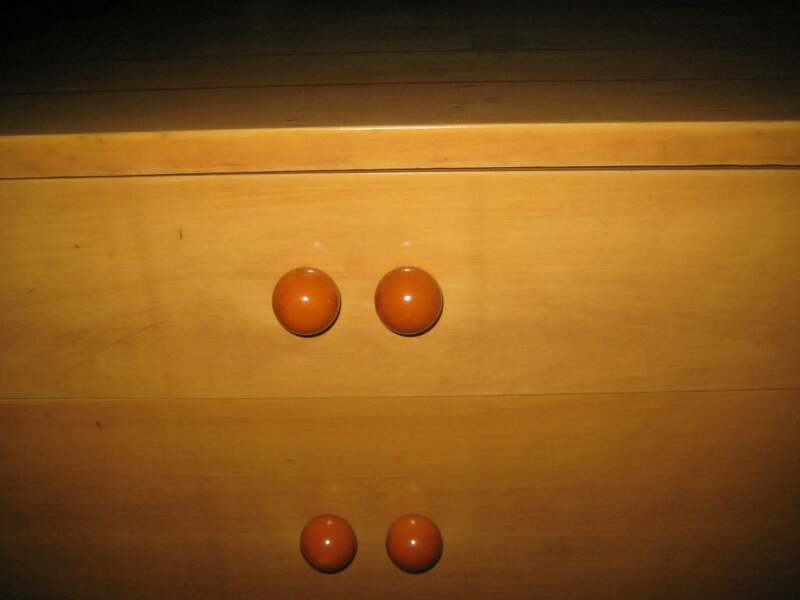 Round carved handle on front, dovetailed drawer, and black interior. Very handsome piece! 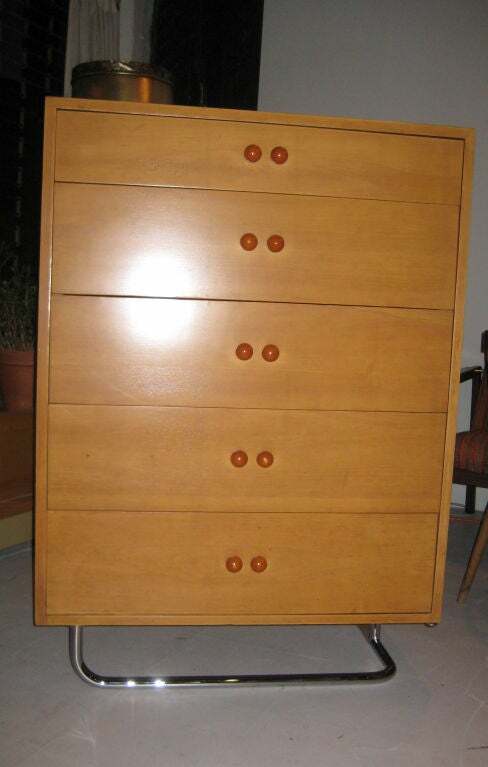 Stylish dresser designerd by Gilbert Rohde model #3920. Lucite handles with sculptural legs.